What? You can get it in different shirt colors but not skin tones?! C-O-N ... spiracy! One of my friends posted this pic on FB with the caption, “the saddest product ever.” And, I know what you’re thinking, “What the … ?!?! What do they have going on over there?! ?” But guess what? It’s not only available abroad!! You can purchase this handy, dandy little device stateside on Amazon.com for the AMAZINGLY low price of $29.95!! Yes, that’s right!! JUST $29.95!!! 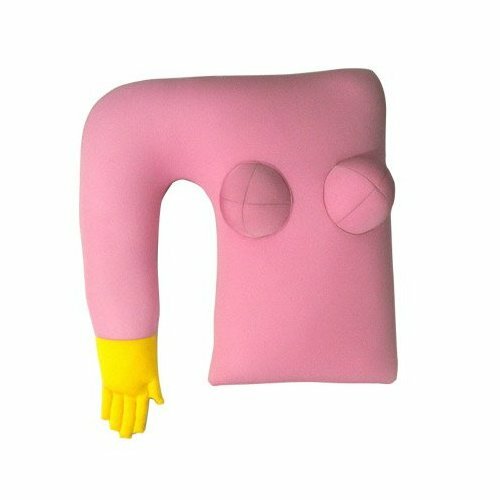 The Boyfriend Pillow, get yours now!!! And guys, don’t think we’ve left you out! 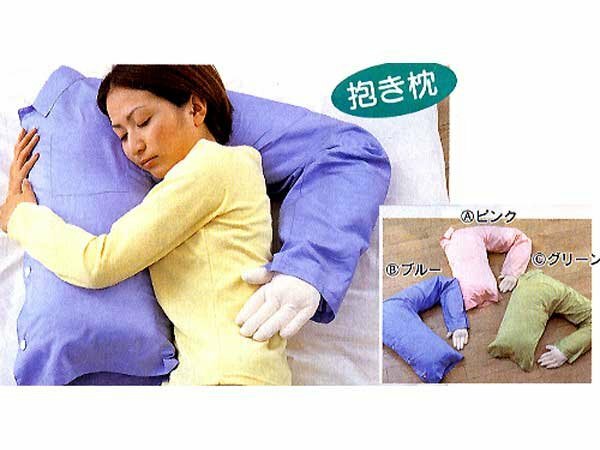 Because, for the same low, low price, you can also get The Girlfriend Pillow!!! I'm sorry, this is looking a little suspect. That doesn't look like any PJ shirt to me! And that’s it for today’s episode of “She’s So Random!” Ya’ll come back now! OMG!!! …this is so spooky. I’d rather hug my pillow that has a pillow case than a shirt. What will they make next a pillow with a private part? This is like the body pillow! They just added features. Lol! This is so random! LMAO. I seen this before. One thing to be lonely but Geez! Im going to get one for all my single friends as gag gifts. Tiffany, that’s one expensive GAG gift! But, it would be HEE-larious!! Marsha, they already have those, they’re just made with latex instead of cotton and feathers;-).